Home Pallet projects Make your own pallet breaker! Make your own pallet breaker! Love pallet projects, but hate the process of taking them apart? You can DIY this tool and you’ll enjoy building with pallets even more! Your pallet breaker can be made from different scrap metals and old yard tools. No expensive materials needed, only some welding skills required. The idea is very simple and straightforward that it doesn’t need an actual step-by-step tutorial. As long as you can (or you have a friend that can) weld, you can easily figure out how to make your own pallet breaker! The only point to remember is to make sure the fork is wide enough for a 4-inch stringer. If the pallet breaker doesn’t fit the pallet, you can remove one slat first using a hammer. If you’re planning on working on a big project which requires dismantling several pallets, this DIY tool will surely help a lot, making the job easier and faster! 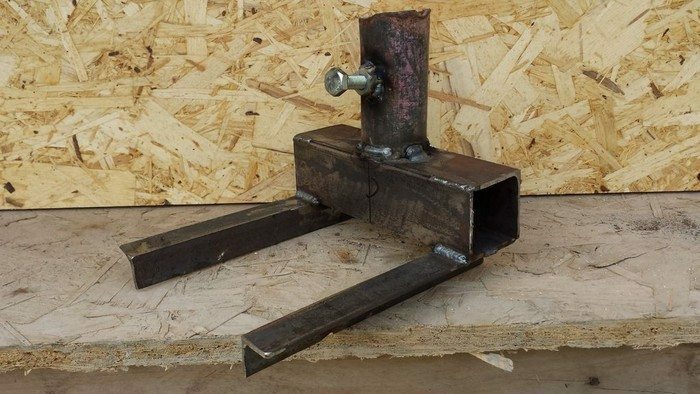 See the gallery below showing different versions of this DIY pallet breaker to get some ideas on what metal parts you can use when building your own pallet breaker! Do you know someone who needs this, too? Thanks to walkthewalk for this great idea!